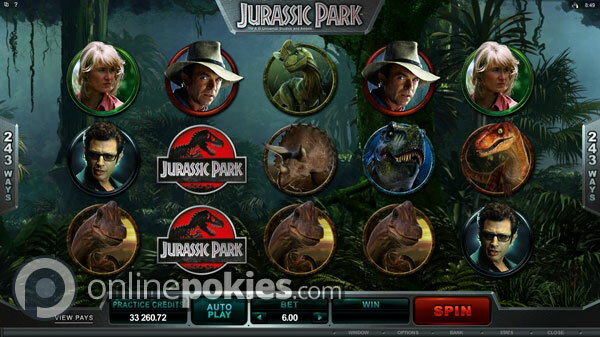 Jurassic Park is a 243 ways Microgaming pokie based on the popular movie that has five unique free spin features, a T-Rex random feature which adds wilds to the reels and a big 1,900,000 credit top jackpot. 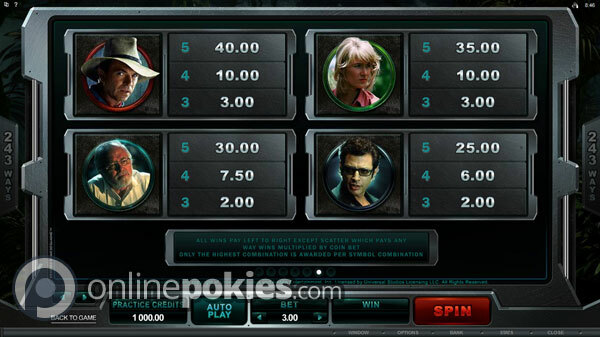 Jurassic Park is a 243 ways online pokie based on the hit movie that introduced us to a unique theme park where dinosaurs had been brought back to life. 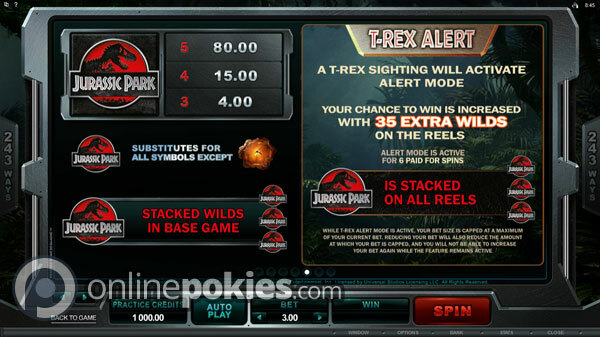 The game features a range of free spins as well as a randomly triggered T-Rex Alert feature that adds 35 extra wilds to the reels. Directed by Steven Spielberg and based on the novel by Michael Crichton, the film is considered by many to be one of the greatest movies of the 1990's. 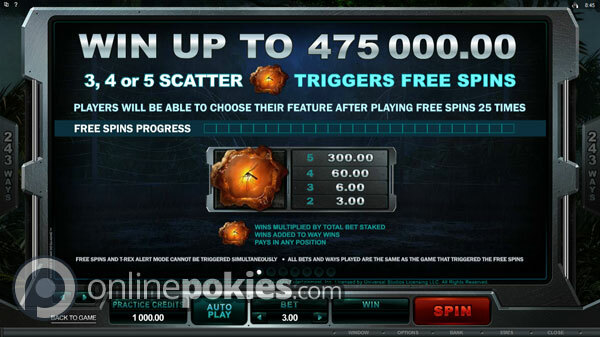 This popularity lead to a 3D version, two sequels and now the official online pokie game. The lowest possible bet on Jurassic Park is 30 cents which covers all ways with one credit per way at the one cent level. You can bet up to 10 credits per way and also have the option of credit sizes going right up to 25 cents and a max bet of $75. The Jurassic Park logo is wild for everything except the scattered Amber symbols. The wilds appear stacked on all reels during the base game so it's possible to get big multi-way wins with a few stacks and a whole screen of wilds which pays 1,900,000 credits. To win the free games on Jurassic Park you need to get three or more of the scattered Amber symbols anywhere on the screen. The first 25 times you trigger the feature you're randomly awarded one of five unique types of free game features. 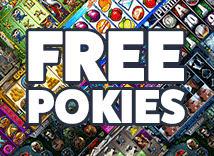 After 25 feature triggers you get to choose which type of free spins you want to play. This progress is saved at each casino you play at so once you've unlocked the selection option it remains unlocked. Each of the free spin types give you different ways to win and the way the unlocking the selection option works means you'll most likely get to try out each one before you get the chance to choose which one you want. At any time during regular play the T-Rex Alert mode can be triggered randomly. This feature adds 35 extra wilds to the reels and remains active for the next six paid spins. Once this feature is triggered you cannot increase your bet until Alert Mode is over.